It’s Friday and that’s the best day of the week in my view. I’m very excited about the weekend ahead. My sister, who just got engaged (squeal) is coming home for the weekend and we are going to celebrate, big time! But before I close out the week, I’ve decided to share my week in review from Instagram. I’m thinking of doing this every Friday from now on so please let me know your thoughts and whether you enjoy seeing my pictures. I am by no means the best photographer in the world, but I love pretty pictures, and am completely obsessed with Instagram. Oh, and if you want to come follow me there (please do), you can do so by clicking here. 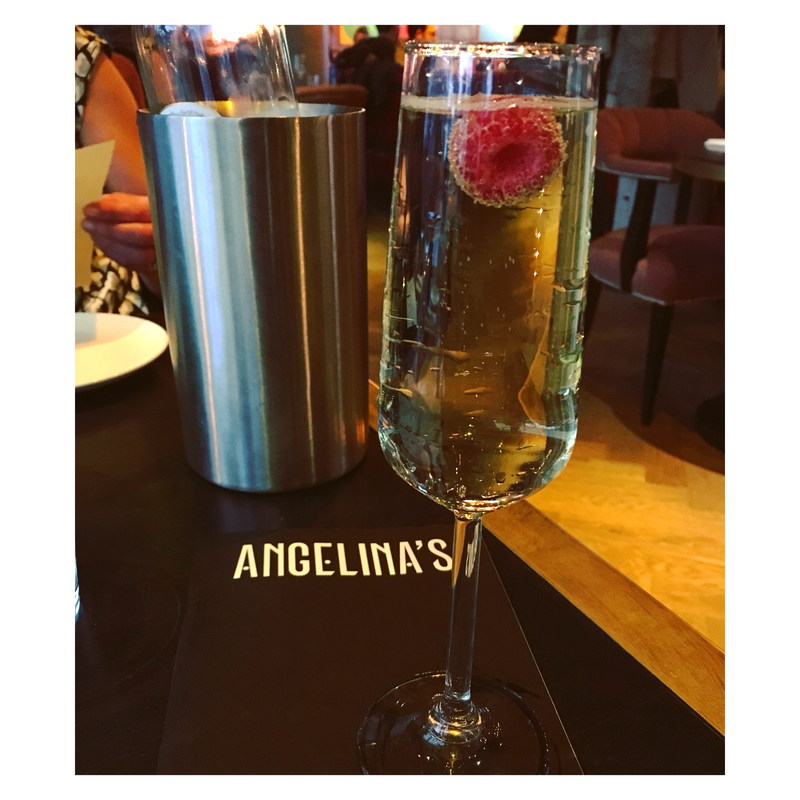 If you read my review on the new restaurant Angelina’s yesterday, you’ll know that this is where I spent a lot of my evening and night last Saturday. Chatting with the girls, eating delicious food and sipping on prosecco. What more could a girl ask for?! 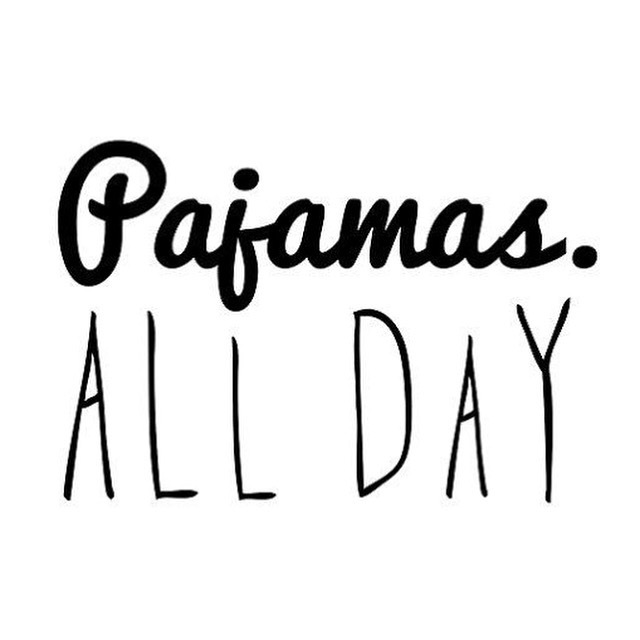 Given said evening and night of alcohol on Saturday, Sunday was spent mostly in bed, in my pyjamas, blogging, reading and Pinterest pinning. This was a good day. A little Monday Motivation goes a long way, and I came across this cute picture on Pinterest so had to share it. 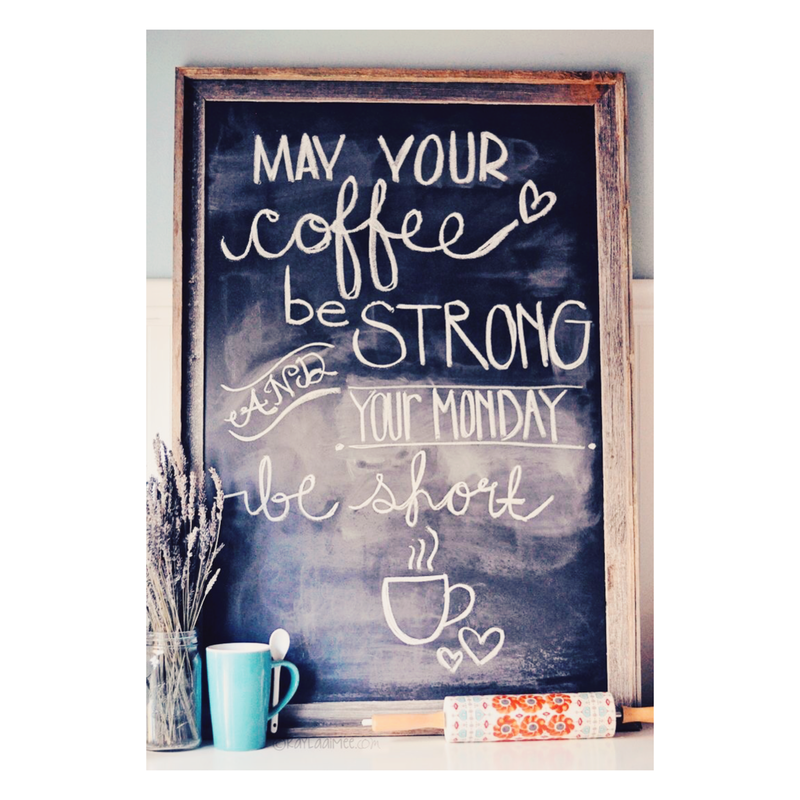 Coffee is definitely what we all need to get us through Monday! 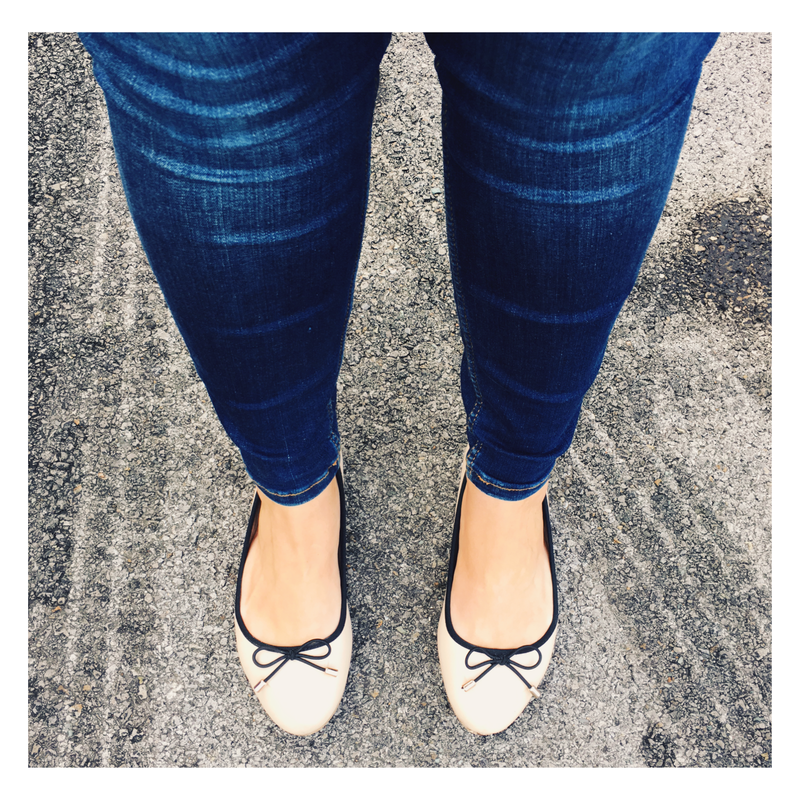 It was also a freezing cold day on Monday, but dreaming of warmer days I donned my ballerina pumps with my skinny jeans. 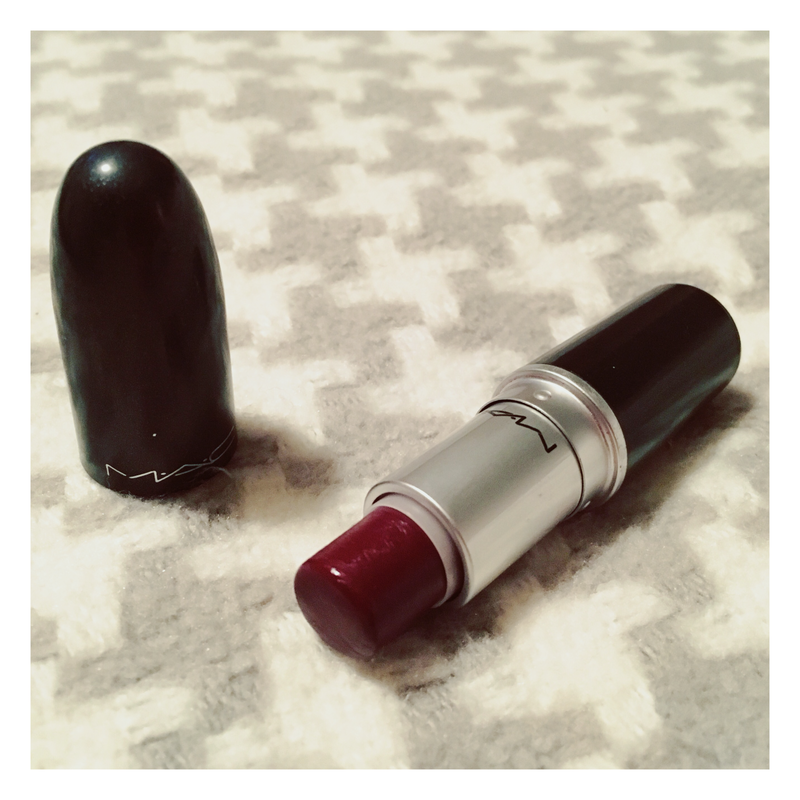 I love playing around with makeup as you may already know, so on Tuesday I shared one of my favourite makeup looks, a golden smokey eye paired with one of my go-to lipstick shades, Dark Side from MAC. 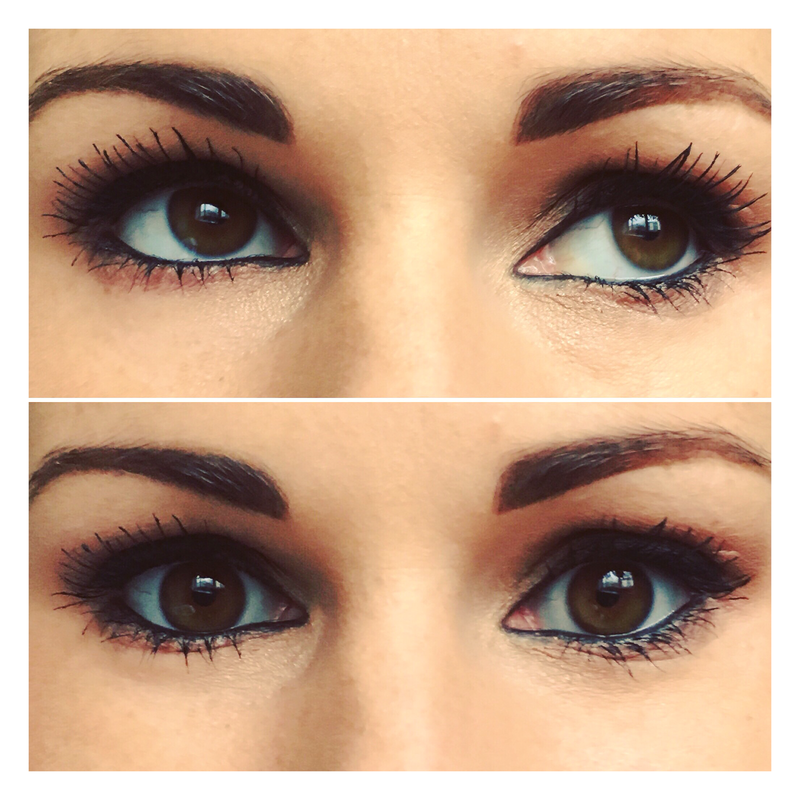 This is look I went for on my girls night out last Saturday. 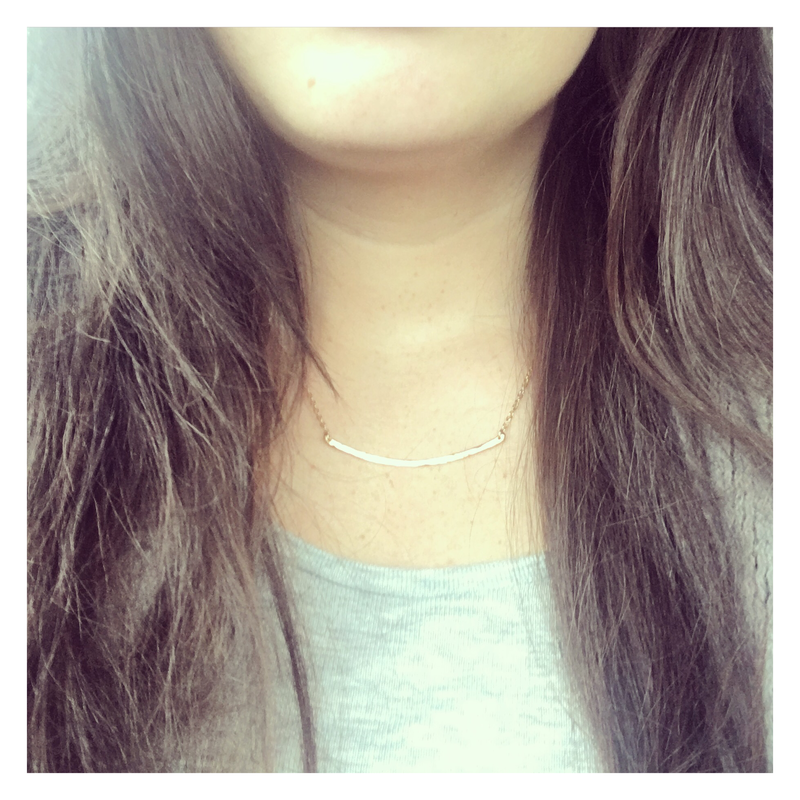 My gorgeous gold Gorjana necklace, need I say more?! 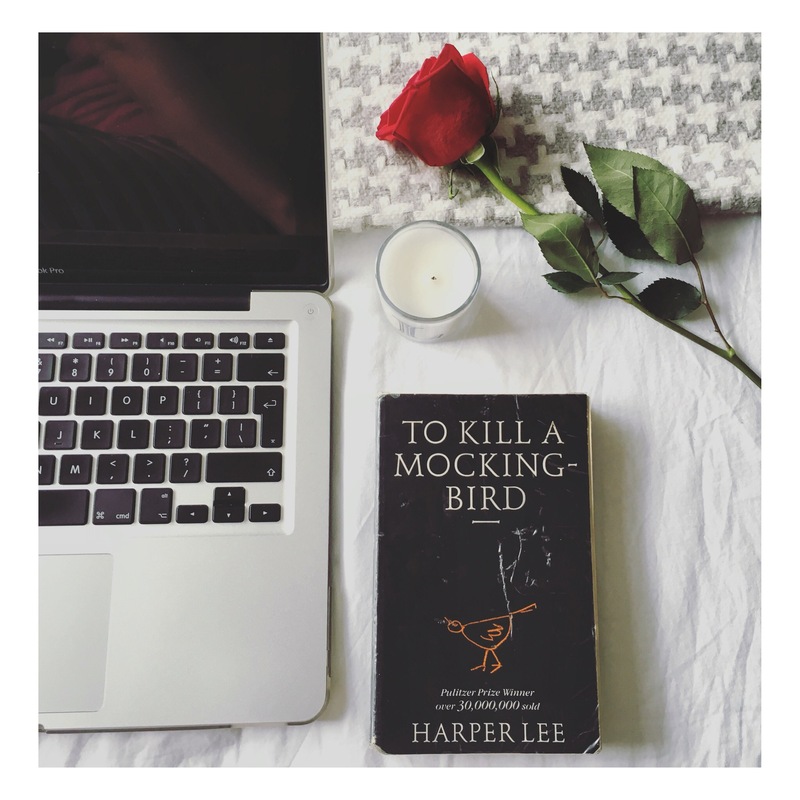 I’m a big book lover, book worm, bibliophile – there are many ways to describe my love of books. When I came across this photo on Twitter I just had to share it. 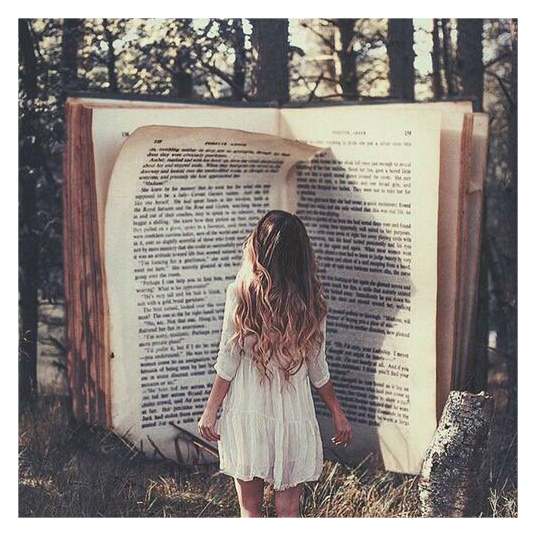 It encapsulates so many of my favourite things, summer, flowy dresses, and reading. I recently shared a sneak peak of my wedding photos with you all, and yesterday I shared a Throw Back Thursday snap to one of my favourite wedding pictures. 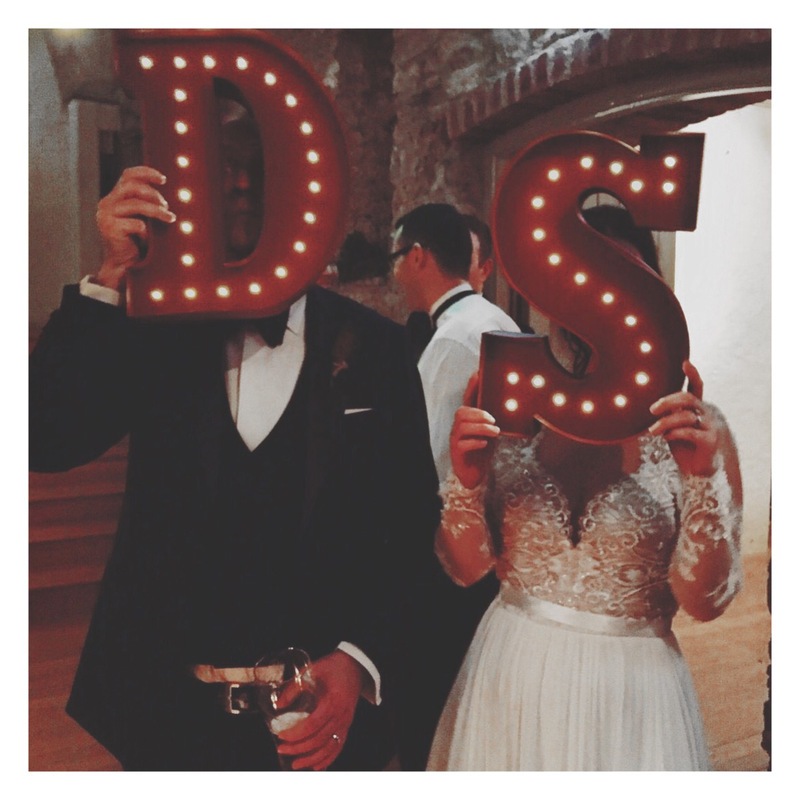 Now, I know I’ve promised you all a full wedding photography post and it’s coming, I swear! I’m just waiting on the USB to arrive from my photographer so I can share some of the images with you all. When I came home yesterday evening, I took out my happiness planner and entered my comments for the day. 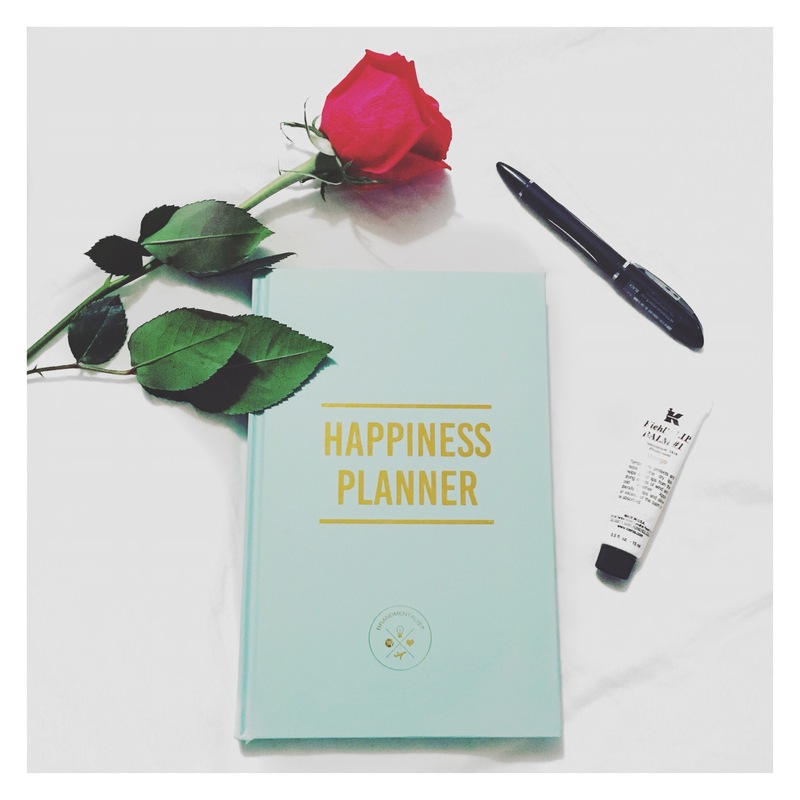 I love this happiness planner I got recently, if you’d like to know more about it you can read my full happiness planner post here. My hubby and I are currently looking at redecorating some rooms so, as I so often do, I was looking up some inspiration on Houzz and Pinterest. How gorgeous is this living room? 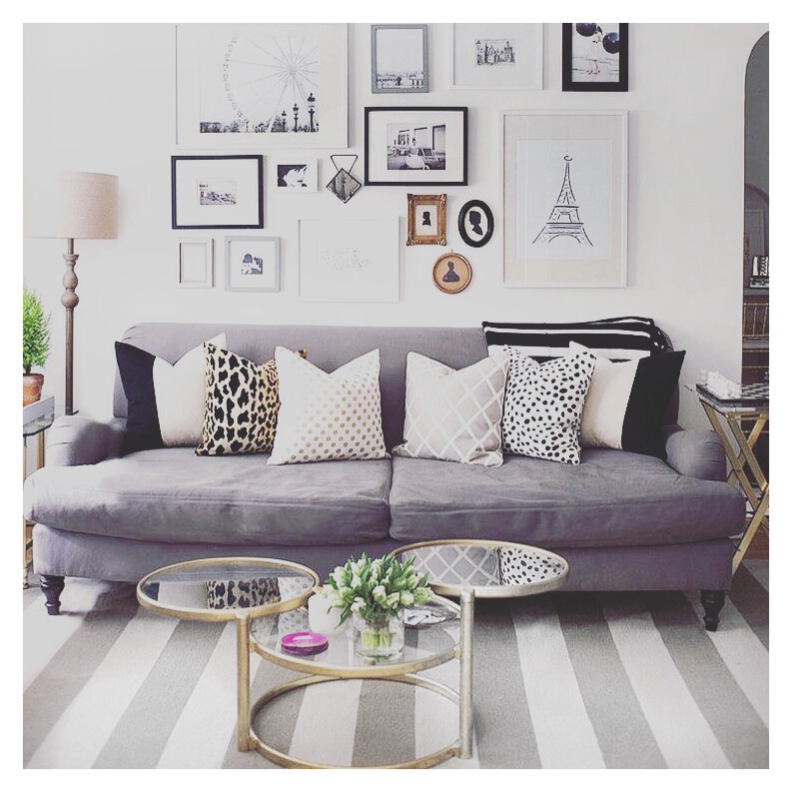 Exactly my style, soft tones, grey couch and a picture wall. I just had to share it. My love for neck pieces is unwavering! 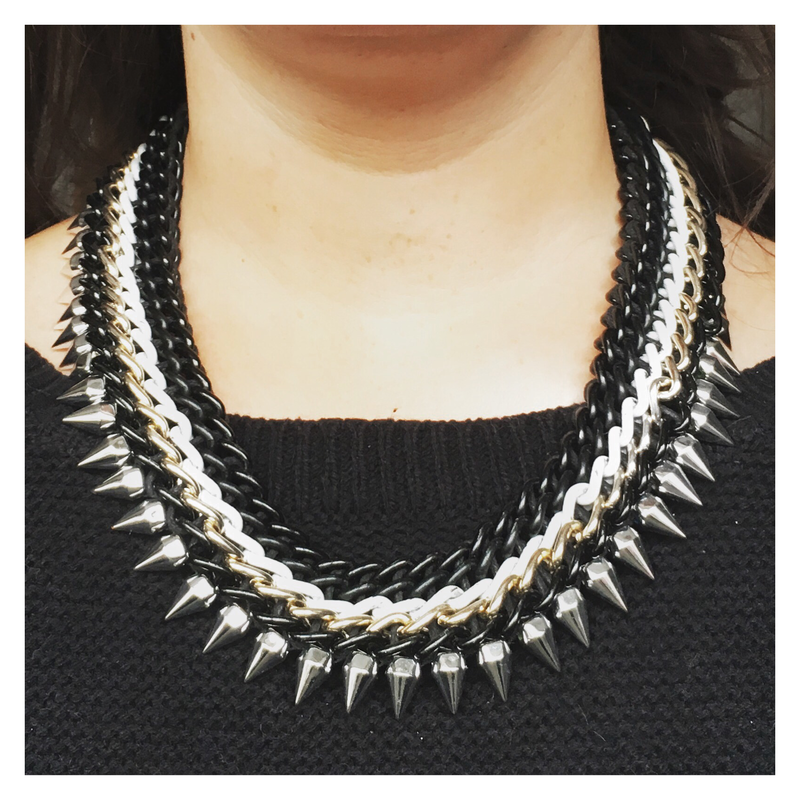 Today I’ve opted for this spiked monochrome chunky neckpiece from Topshop. Perfect match to my knit black jumper. So there you go! I hope you’ve enjoyed this post, please let me know your thoughts. I like it a lot. Very interesting and stylish. Looking forward to seeing how your decorating turns. Take care Cally.